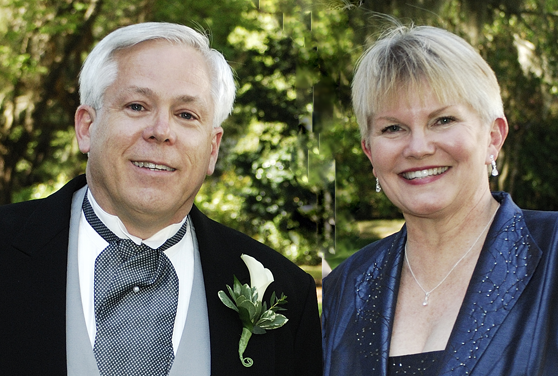 John & Marsha Langlois bought Foggy Bottom Farms in 2002. John gave Marsha her first puppy in 1956. He has been trying to get it back ever since then. John wanted a girl who was smarter than he was. Marsha was a National Merit Scholar. We’ve never figured out what Marsha wanted. Nevertheless, after 44 years of marriage we are fortunate to be together at Foggy Bottom Farms. We have two daughters, five grandsons, twenty-eight cows, thirty-five chickens, 1 dog and a few animals that we haven’t really met yet. Marsha’s background is in Medical Technology. Little does she suspect that we will use her skills in animal husbandry. John’s skills in “surprise acquisition” will ensure that new and wonderful critters can always be found here. Do I hear goats?